Today, Reethi Beach Resort and SeaExplorer Dive Centre joined the Green Fins network and their efforts to promote sustainable diving practices. They are the first to take this step in Baa Atoll. And because the atoll is a UNESCO biosphere reserve, they hope that many resorts will follow their example. 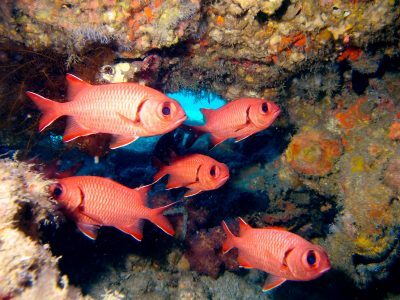 The Green Fins is a network of dive centres that was brought to life by the United Nations Environmental Programme (UNEP). Back in 2004 they started in Thailand and have now made their way to the Maldives. But what does it actually mean to join the Green Fins network? The statement is backed by a set of commitments to which the dive centre and its team members adhere voluntarily. The most important is the “Membership code of conduct”; a public displayed self-commitment. Due to its public nature every guest has the chance to verify each member’s adherence to its self-commitment. In fact, the guest becomes the auditor of the Green Fins system. This mechanism is ingenious as it works in two ways: it is cost effective because it replaces expensive professional auditors and it keeps members under constant pressure to actually follow their self-set standards. Other measurements are watching codes of conduct for certain animals such as whalesharks, dolphins, mantas and turtles. However, most of these measures are nothing but lip services paid to public interest and image campaigns rather than actual, real life commitment. The good news here, SeaExplorer Dive Centre had its green standards in place long before the membership in the Greens Fins network. For a long time gloves and knives were banned in the centre. Briefings have always contained information on sustainable diving practices and the proper use of marine toilets and waste bins. And underwater clean-ups, mooring buoys and a vast marine species library give further proof of the centre’s environmental commitment. Therefore, many of the Green Fins member prerequisites had already been an integral part of the SeaExplorer philosophy. One point however, causes moral conflict, the strict “no-touch policy”. The SeaExplorers believe that in order to strengthen the love for the sea and its inhabitants, divers must be provided with first-hand experiences. The moment that a diver touches a e.g. 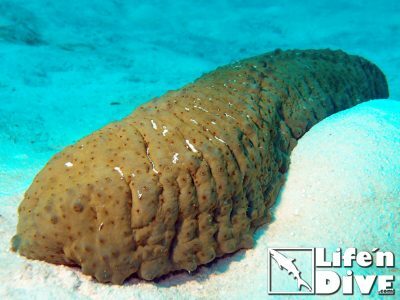 sea cucumber awakens a true connection to the environment. This connection was personally established in the moment the fingers stroke over the cucumbers skin, feeling its roughness and spines, transforming the perception from ugly and slimy to harmless and almost cute. Just in order to avoid misunderstandings here, the SeaExplorers do explicitly not want their guests to touch everything in their wake, or use living corals as hand held monopods for their cameras. The aim is to reduce unsubstantiated fears and feelings of indifference and replace them with understanding and interest. The very same happens on a daily basis in zoos all around the world. Petting zoos with a carefully selected range of animals, serve as a key stone experience for children that very often result in strong bonds with nature and feelings of love for the touched animals and their environment. The result of this philosophy are responsible and wary divers that handle the marine environment with care and respect. With the unique experiences on their minds, guests of the diving centre often leave the island as ambassadors of the sea, fighting for the persistence of its beauty on a daily basis. The Green Fins do a great job in increasing awareness within the diving community. Their umbrella organisation, the Untied Nations, lift their agenda on the global stage, which in turn strengthens their impact and effectivity. This holds especially true when they provide training to their members. However, one must also see the drawbacks and shortcomings of such an organisation. Self-commitments are not much more than lip services, even those on public display. Reality is that tourists have a keen eye for relaxation and fun, but rarely like to control their dive guides and spoil everybody’s holidays by complaining. Moreover, their label constitutes a possibly even greater threat, as it provides a false sense of comfort to the guest, very much like most labels in fact. In conclusion, even though the Green Fins’ work might be arguably effective, their existence is justified by their role in rising public awareness. Ultimately, it is down to each individual dive centre, if it wants to make a difference and act sustainable, or not. In the mean time, come to Reethi Beach and join the centre’s explorations to the reefs of Baa Atoll!